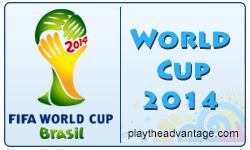 World Cup Tech 2014: BRAZUCA! How cool is a sport where even the ball has a name? Welcome back L’Arbitre, who introduces us to a character we’ll become very familiar with during this World Cup.. The unpredictability and difficulty anticipating the movement of the ball has created a lot of frustration among players. Poor first touches, shots on goal and saves are just some of the times in the game when the visible anguish is evident on players’ faces and it has led to some rather awkward scenarios (to say the least for England Goalkeeper Rob Green). Brazuca is no exception but players have been exposed to this new ball in the preliminary rounds of competition. Adidas has been reducing the number of panels on the ball. Two of the biggest influences of the design are on drag and critical speed. See the National Geographic article for more info on University of Tsukuba’s (Japan) research in this area. We’re all looking forward to the first kick-off at the Sau Paulo stadium on 12th June 2014. How many times do you think Brazuca will find the back of the net this World Cup?